Summer’s not the only season for fresh produce-packed salads. There’s plenty of cold weather produce to enjoy in the winter. From tangy cranberries and citrus fruits to robust greens and hardy root vegetables, you’ll be surprised by how many foods truly are “in season” right now. 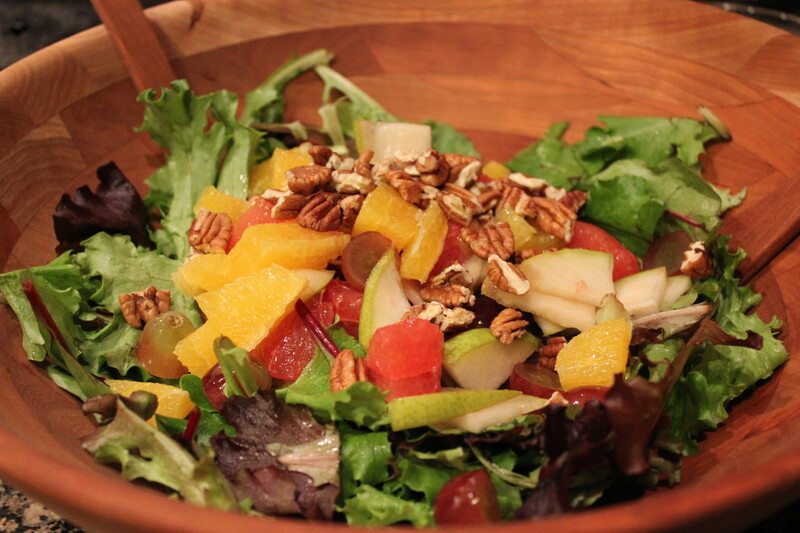 If you love fruit, there’s not much you can complain about in this citrus salad. Sliced pears, sectioned oranges and grapefruit, and plump seedless grapes make up all the wonderful fruits in this salad. Add a handful of walnuts or pecans for crunch, and a sweet, citrus orange vinaigrette, and you’ve got yourself the perfect salad. I actually made this for Christmas dinner this year. Everyone loved it. Plus, it pairs well with just about any main course from juicy steaks to grilled chicken to pork chops and even ham. FOR THE VINAIGRETTE: Whisk together first 6 ingredients (white wine, orange zest, orange juice, sugar, salt and pepper) in a small bowl; add oil in a slow steady stream, whisking until blended. FOR THE SALAD: Preheat oven to 350 degrees F. Bake nuts in a single layer in a shallow pan 6-8 minutes or until toasted and fragrant. Place greens in a large bowl. Add orange sections, grapefruit sections, sliced pear, and grapes. Drizzle with ¼ cup Orange Vinaigrette, tossing gently to coat. 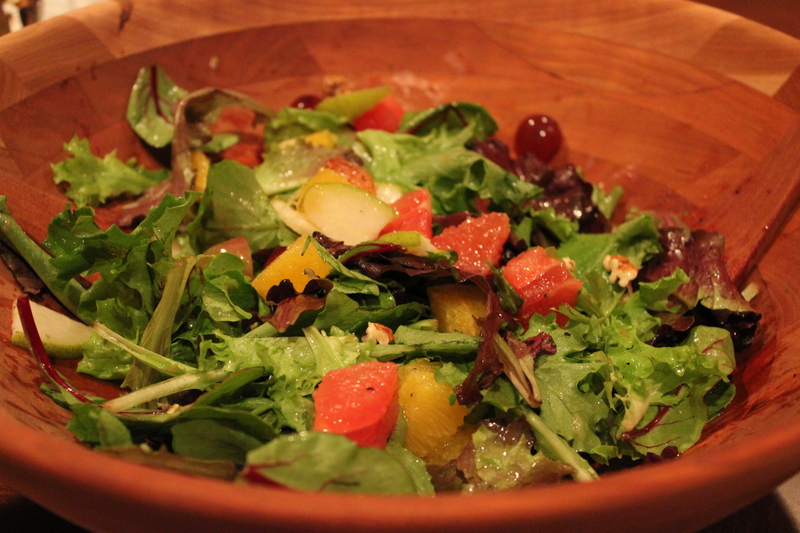 Sprinkle toasted nuts over salad, and serve immediately with remaining vinaigrette.